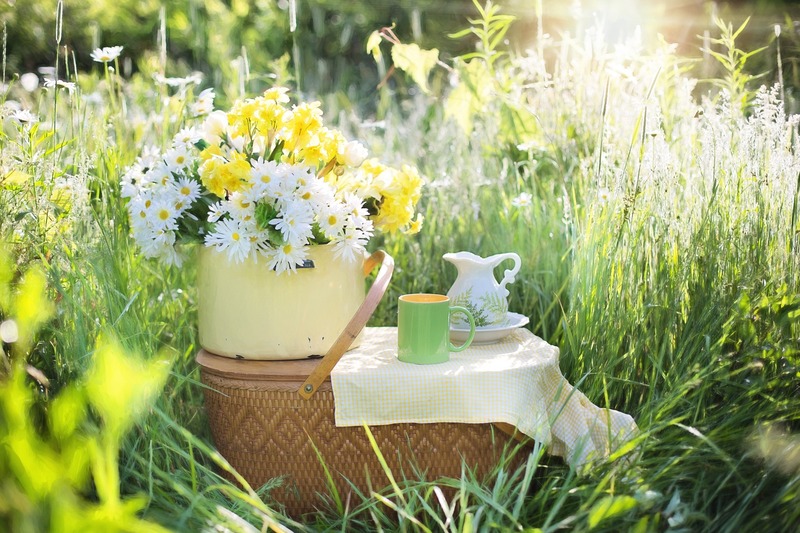 Picnics are the essence of summer and with the 4th of July just a few short days away I thought you might like to learn how to host the healthiest picnic ever! Stay tuned for tomorrow as I’m going to share with you ALL of my healthy picnic salad recipes. The American Institute of Cancer Research is urging everyone to rethink the pastime of barbecuing meat. After analyzing the results of 7,000 studies, the Institute concluded that grilling any meat — whether red, white or fish — produces potent carcinogens. The high heat of grilling reacts with proteins in red meat, poultry and fish, creating heterocyclic amines, which are linked to cancer. Another form of cancer-causing agents, polycyclic aromatic hydrocarbons, are created when juices from meats drip and hit the heat source. They then rise in smoke and can stick to the meat. The Institute took particular aim at processed meats like hot dogs, sausages, bacon, ham, pastrami, salami and any meat that has been salted, smoked or cured. The chemicals used to preserve the meat increase the production of cancer-causing compounds, regardless of how the meat is cooked. I know the thought of giving up your barbecue grill is about as un-American as you can get, especially right as summer is approaching, but I do believe it is a wise move for your health. It’s ironic, isn’t it, that so many people are convinced they must cook their foods until they’re browned and “well-done” to avoid bacteria, when in so doing they are creating and consuming highly toxic substances that will shorten their lifespan? There are many people who are convinced that being a vegetarian is the ultimate healthy lifestyle eating plan. They support their position with loads of scientific studies. But it is my belief that most of these studies are correct because the common way most people consume animal protein is COOKED, or worse yet grilled, creating all the toxic substances discussed above. To the best of my knowledge there are no studies comparing raw animal-food-based diets versus cooked vegetarian diets, but even if there were they still could be flawed because they most likely would not factor in the person’s nutritional blood type. A blood type A eating large amounts of raw animal food will do just as poorly as a blood type O on raw vegan diet. You simply need the right food for your specific nutritional type. One variable that makes me consider it is that you simply don’t have to be perfect in your diet. I fully believe you just need to eat very well 80-95% of the time. If you do that your body typically has enough reserve to compensate for the damage you cause. However if you are really sick or have a terminal illness you will want to get as close to 100% as practically possible to improve your chances of recovery. Do You STILL Want to Over-Cook Your Food? Other studies have shown that an increased risk of developing pancreatic, colorectal, and breast cancer is associated with high intakes of well-done, fried, or barbecued meats. One study found that a compound called PhIP, formed when meat is charred at high temperatures, causes prostate cancer in rats. Scientists have estimated that the average cancer risk because of heterocyclic amine exposure ranges from 1 per 10,000 for the average person to more than 1 per 50 for those ingesting large amounts of well-done muscle meats, especially flame-grilled chicken. Yet, I realize that asking most Americans to give up hot dogs, hamburgers, barbequed chicken and even grilled fish is almost sacrilegious. So let me try to put it another way. What is Your Food Doing for You? Depending on the food, and how it is prepared, it can either nourish your body and vitalize your mind, or it can slowly degenerate your vitality and vigor. And instead of thinking about what you are giving up by avoiding overcooked foods, think about what you are gaining: light energy in the form of biophotons. You may already be aware of the importance of getting sunlight on your skin. Well, you can absorb sun energy via your food as well, and stored sun energy in food is called ‘biophotons,’ which are the smallest physical units of light. The more light a food is able to store, the more nutritious it is. This is why sun-ripened veggies, and even meat products from animals raised outside in the sun, are rich in biophotons. Biophotons, meanwhile, contain bio-information, which controls complex vital processes in your body. The biophotons have the power to elevate your physical body to a higher oscillation or order, and this is manifested as a feeling of vitality and well-being. But as soon as you throw those sun-ripened peppers or raw, grass-fed steak onto the grill, you lose these beneficial properties, as cooked foods contain no biophotons. What it did point out is that processed meats are a big-time no-no, and I have to agree with them there. While you can find natural and organic processed meats, the unprocessed varieties are still preferable. The other factor that plays a role in how healthy meat is for you? As I said earlier, your blood type. Some of you (including myself) thrive on red meat while others need white meats or mostly other protein sources, like eggs. It all depends on your unique biochemistry. I suspect this may be a great number of you, so I will include some tips to minimize your risk. Limit the amount of grilled foods you eat, and make sure you’re eating plenty of other raw foods in your diet. Avoid grilling hot dogs, bratwurst and other processed meats, as these seem to be among the worst offenders. Only grill high-quality, organic and grass-fed meats. Cook the meat as little as possible. Rare or medium-rare at the absolute most. You can also quickly sear the meat on both sides, leaving the inside mostly raw. This gives the illusion that you’re eating cooked meat, with many of the benefits of raw. I sure hope that you and your families have the best 4th of July ever! P.s. Remember to stay tuned for tomorrow as I’m going to share with you ALL of my healthy picnic salad recipes.